There’s no possible way to go through a list of thought-provoking films and not running into an Andrei Tarkovsky film. Solaris is based on a l961 sci-fi novel by the prolific Polish writer Stanislaw Lem. This is not a film about the journey to space and the beyond. Humans have already set a base on an alien planet, a space station; Now that we are there, what now? Psychologist Chris Kelvin is sent on an expedition to a space station that was set some years prior on the planet Solaris. Upon his arrival he encounters several situations or occurrences that make him think that something on that space station might not be what it looks like. As the film goes Chris Kelvin starts to see his late wife, who committed suicide some years prior, inside the station. Later on we find out that this a mere hallucinations caused by the effect that planet Solaris has on it’s invaders. Now, let’s stop here to analyze this part or theme if you will. Here we have a planet that can understand and manipulate the subject’s consciousness, bringing back to life our deepest and most hurtful memories. 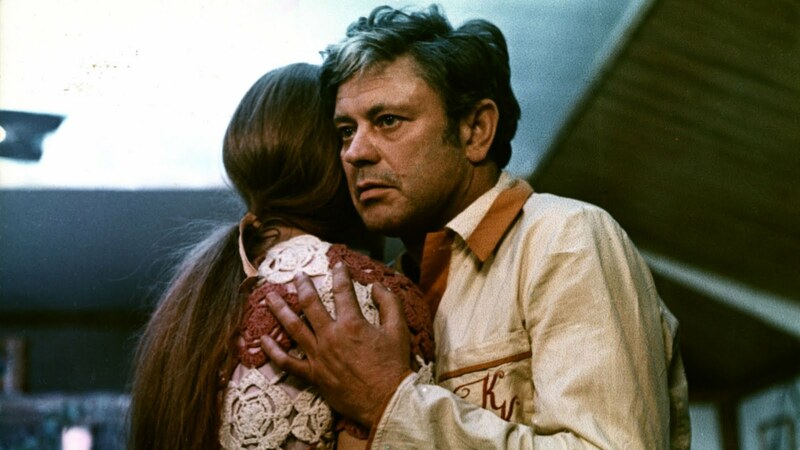 Here Tarkovsky manipulates the concept of reality to a whole other level. Not only is the subjective reality, but the mere real (Nature) now directly infiltrates such reality. But, is any of this that Kelvin perceives on Solaris even real? Now this begs the question, is anything that we perceive on Earth real? 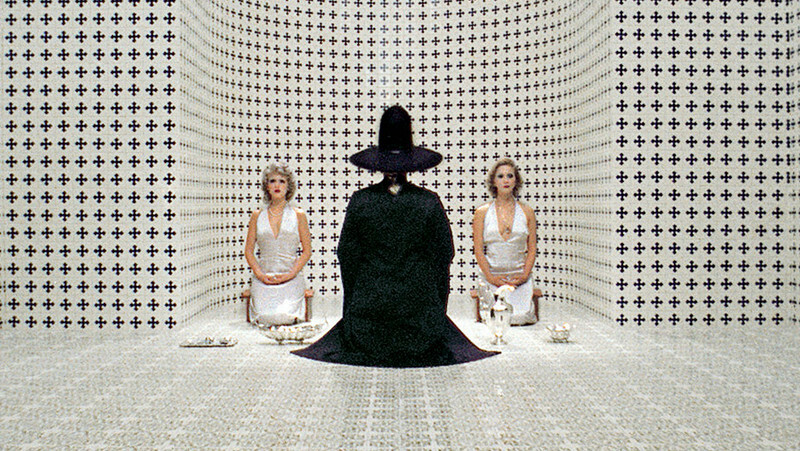 The Holy Mountain is a surrealist film dealing with various religious themes, written and directed by Alejandro Jodorowsky. The film starts off with a character only known as the fool, like the tarot card. This represents the animal side of the human body. He quickly encounters another character, also represented by a tarot card, the divine fool. The earth life and the divine life. This starts the initiatory journey of the main character. This film has a lot of religious symbols, from Christianity to Spiritualism, still the main theme of the movie remains the same. The journey after the initiation, the hero’s journey. The journey from the animal life to the divine life. The film is divided in the same way: animal instinct and divine spiritual life. In the second half of the film we see a group of people who journey towards the holy mountain. After a brief introduction of each member of the group the journey starts. In order to be accepted they must renounce to all their belongings, they burn all their money. More than halfway to the mountain they encounter a small town. The town is filled with those who almost got to the holy mountain. The ones that got overpowered by material possessions, like fame, social status and money. Being as strong as they are and guided by their master, they come to resist all of the temptations of the material world. They left the fame and the mundane in order to achieve the anonymous spiritual realization, in order to break the illusion of the ego self. Once they leave this town, the journey continues. After hours of walking and climbing mountains, they finally reach the holy mountain. In the top of the mountain they found a round table. At this point I won’t spoil the movie for you, but I’ll just let you know this; live in reality because cinema, like life, is just an illusion. 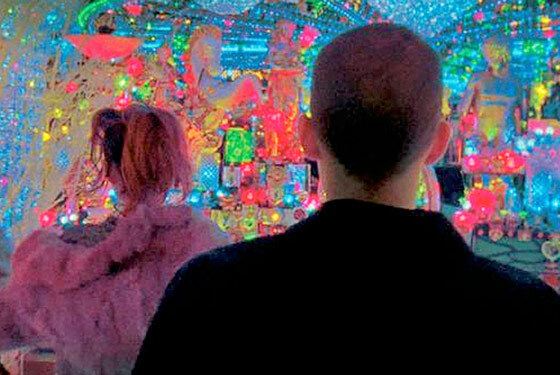 Gaspar Noe’s Enter the Void is one of the most surreal films to come out in the last ten years. It features some incredible camera work as well as some very psychedelic special effects. The film’s main theme comes from the Tibetan Book of the Dead, a book that narrates the journey that the human soul takes after death. Now, the actual plot of the film lasts about 20 minutes or so. At one point in the beginning of the film the main character is shot dead, then his soul leaves his body; now this is where the movie really starts. In our journey through the afterlife we go on a timeline of our lives, reliving different moments, and the ones that made us who we are. The ones that compose our ego self. This is done in a way that we learn from our mistakes. When we reincarnate in another state of living, we can correct the deeds we did in our past life. Gaspar Noe makes death an incredible journey, a journey that we must accept as humans in order to live life to its fullest. The Sanskrit word Samsara alludes to the wheel of life, the different cycles of birth and death that happen in life. Without any narrative line Samsara gives us a delightful experience of the world and the human condition. This is a documentary that is very difficult to explain in words, its power relies on the fact that you have to experience it in order to understand it. Somethings in life exist outside the world of language, Samsara is an example of this, using purely images to evoke emotions. Illustrating the archetypal ideas of death and rebirth that have appeared in human cultures around the world. This is not a film about action rather it’s about contemplation. As the years go by we are able to learn the different arts and ways of Buddhism. As the title implies, the film is divided into five segments. Each one corresponding a different part in time where a novice Buddhist monk who just entered a monastery learns the ways of Buddhism. This is Kim Ki-duk’s way of demonstrating through film the circles of life, as the film ends in the same season it began. The main themes of this film are not only viewed throughout the story, but through the presentation of metaphorical Buddhist Symbolism. Arguably one of the best sci-fi films ever made, The Matrix is a film about escaping illusions and the continuing search of the truth. With this film the Wachowskis made an incredible impact, in the intellectual circles and in everything surrounding pop culture. Imagine that life as we know it is completely illusory, and that all we take for granted is false. Now, if this fake reality seems so real that we can’t distinguish it from the other then, What makes real our reality? While The Matrix could be used to critique advertising and government control, or multinational companies, this is not our main goal. This film gives us one of the best examples of the illusory nature of life and social constructs. Is it possible to distinguish one from the other? Or is this just another trick from the ego self. “What is real? How do you define ‘real’? If you’re talking about what you can feel, what you can smell, what you can taste and see, and then ‘real’ is simply electrical signals interpreted by your brain.” (The Matrix, The Wachowski Brothers, 1999). If we as humans think it’s real, it’s because our mind tells us it’s real. Nothing more, nothing less. The fountain is at its most a film about life and the acceptance of death. “The desire to live forever is deep in our culture, every day people are looking for ways to extend life or feel younger. Just look at the popularity of shows like ‘Extreme Makeover’ or ‘Nip/Tuck.’ People are praying to be young and often denying that death is a part of life. Hospitals spend huge sums of money trying to keep people alive. But we’re [sic] become so preoccupied with sustaining the physical that we often forget to nurture the spirit. 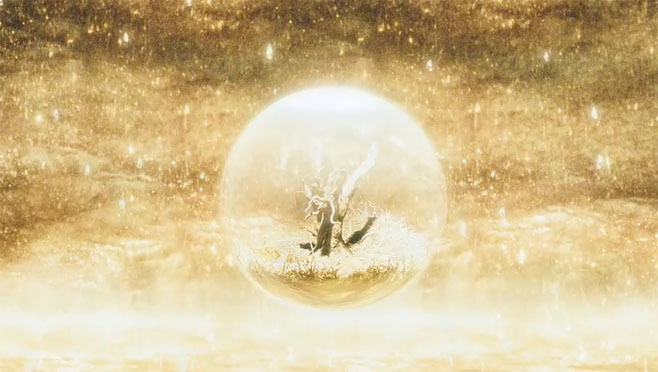 So that’s one of the central themes I wanted to deal with in the film: Does death make us human, and if we could live forever, would we lose our humanity?” – Darren Aronofsky. The movie is set on three different eras: on one Tom Creo (Hugh Jackman) is a neuroscientist, the other a Spanish Conquistador named Tomás Verde, and third one Tommy a space traveler. All three of them have the same thing in common, they are all still hanged up on a woman and are incapable of letting go. One the most important teachings of Buddhism is that material/physical life is suffering. Throughout the whole film they understand that death is just a normal mere process of life. Craving leads to attachment, and attachment leads to suffering, only when we cut the ties we have with the physical world are we able to end suffering. Death is a phase, not a finality. Author Bio: Rafael Jiménez is an undergraduate Psychology student at the University of Puerto Rico. He’s currently playing guitar for the band Mente Muerta, the FB page of it can be found here: https://www.facebook.com/mentemuertapr.